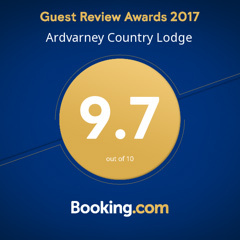 Ardvarney Country Lodge is surrounded by breathtaking scenery and an array of interesting things to see and do. This means that every guest’s experience is entirely unique. Ireland is steeped in rich history, which we encourage you to discover for yourself. The landscape surrounding the Lodge is a patchwork of forests, mountains, rivers, and lakes. Dotted across the countryside are ancient castles, long-forgotten tombs, and monuments dedicated to the heroes of Ireland’s past. The nearby towns and villages are full of life and culture, with the chance to experience local music, pubs, restaurants, markets, and more. Create your own adventure, or allow Wilfred to make personal recommendations or put together an itinerary to suit your individual schedules and desires. Ardvarney country lodge and the cottage garden Dromahair are very pleased to bring you two days of the best of the west. Come and stay for two nights in a luxurious en suite room, surround yourself with the outstanding scenery and natural beauty of Leitrim and Sligo. We can advise you of all the best places to visit. On the second day, you will have the opportunity to visit a local smallholding and talk to Lyn the gardener, about no dig gardening, gardening for wildlife, permaculture, composting and anything else you would like to discuss. Meet Teddy and Tony the alpacas, Podge the pot bellied pig and the gang of (bantam) hens, geese and ducks. You are welcome to stay for herbal tea of the day and a home baked scone on the terrace afterwards. Ardvarney Country Lodge and Adventure Gently have a splashing offer. River Bonet Guided Canoe Tour. The offer is two nights at Ardvarney Country Lodge for €85,- and a special discount of €5 per person booking Adventure Gently’s River Bonet Guided Canoe Tour see prizes on top photo. Ardvarney Country Lodge and Leitrim Landscapes Guided Walks are happy to introduce this offer. Two night stay in Ardvarney Country Lodge in a luxurious en suite room. We like to welcome you the first day with Tea and a home baked treat. 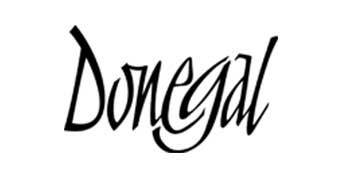 The second day you have a guided walk with Leitrim Landscapes Guided Walks in the beautiful surroundings of Dromahair. Two night getaway in Ardvarney lodge. Double occupancy including full Irish breakfast and a relaxing guided canoe tour on the newly launched Shannon Erne Blueway for only €135 per person. Life on Ireland’s West Coast moves at whatever pace you choose, and Ardvarney Country Lodge is the ideal setting for those with a sense of adventure or simply seeking a peaceful getaway. Guided Canoe tours takes place on Shannon Erne Blueway with a level 4 BCU qualified tour guide and take you through some of the most inspiring landscapes Ireland has to offer. From €135 pp. Single supplement €30. Offer valid for weekends from April till September 2017. Ardvarney Country Lodge and Irish Life Tours are happy to introduce this offer. One night stay including Breakfast and Half-Day tour: Visiting the hotspots of North Leitrim and south Sligo. (Like: Park’s Castle, Troll wood, Crevelea Abby, Manorhamilton Castle, Glencar waterfall.) Including one night stay in Ardvarney Country Lodge and breakfast. €179 – for 1 person and €90 – every next person. One night stay at Ardvarney Country Lodge including Breakfast and Full day tour: Visiting the hotspots of North Leitrim and south Sligo + Sligo heritage and a free dinner. €334 – for 1 person and €90 – every next person.